The department of political science was established in the academic year 1984-85 with economics and public administration as allied combinations. The medium of instruction for economics, political science and public administration combination is Telugu. The intake capacity of the students to political science department. The department is conducting assignments and unit test to assess the progress of the students. The department is also providing remedial coaching for the average learners. The lectures in the department are supplying additional reading materials for the better understanding of the subject. The department encourages as well as guides the students to build up their career. Additional reading material as well as guides the students preparing for competitive examinations to pursue higher studies. We encourage the students to got to library and refer articles in journals and prepare material for the competitive examinations. The library is having journals and magazines like ‘Kurukshetra’ ‘yojana’ and ‘prthiyogitha darpns’. 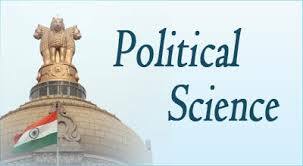 The department of political science is following the common core syllabus in vogue in the state of Andhra Pradesh. The first year degree syllabus was revised in the academic year 2015-16. The second year degree syllabus was revised in the year 2016-17. And the third year degree syllabus was revised in the year 2017-18. This department strictly follows the curriculum designed by the affiliating university that is Acharya Nagarjuna university, Guntur. The faculty member prepare and submit annual academic plan to the principal at the beginning of every academic year to ensure proper implementation of the curriculum. The member of the Department maintain records like teaching notes, teaching dairy, which will be counter signed by the principal at the end of the every month. This ensures monitoring the progress of the activities of the department. Feed back mechanism from the students on the curriculum is being initiated by the department from the last academic year. The primary teaching methods of the faculty member is the traditional system of using the black board. Whenever and wherever necessary the traditional approach will be supplemented by the use of ICT(Power Point Presentations, Virtual lessons) and also by the use of equipment available in the department. The faculty prepared question banks for each topic and the same will be given to students. Bridge classes are conducted for first year students to make them comfortable with the curriculum. Students are encouraged to view MANA T.V telecast for updating their knowledge. Remedial classes are conducted for slow learners. Students are encouraged to participate in class-rooms. In the classrooms they are often encouraged to talk standing at the board to inculcate leadership and to reduce the fear of stage handling. Student teacher ratio in the department is 10:1. Student’s evaluation takes place throughout the course duration in various forms. Students are assessed by the questioning in the class room, assignments, slip tests, group discussions and seminars. After the completion of 2 or 3 topics we conduct tests for the assessment of student’s academic progress. Mid-Sem examinations are also conducted. In all these examinations the question papers will be in the same farm as the university model paper to enable the students to get acquainted with the design of the paper. The plinth area of the political science department is 20.40 consisting of three class rooms and one seminar hall and one staff room. The departmental library consists of nearly 50 books. Teaching lessons, using aids showing charts etc., preparing the question banks, bit banks, in each topic for efficient learning. Viewing MANA T.V programe as per schedule given by CCE of Andhra Pradesh. Gathering information from journals, papers, inter-net and other sources available. The department of political Science has library facility that contains nearly volumes. The titles consists of text books in the three year U.G syllabus and also various books useful for P.G entrance examination. Apart from them the title also includes books useful for M.A. B.L and APPSC entrance examinations. Students are encouraged to utilize this library facility by reading books, sitting in the department itself and also by borrowing them to home.